What do you think about taking your business online? 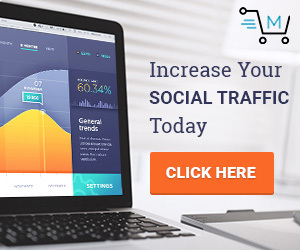 Stats showing us that entrepreneurs that have a website these days have a way bigger number of leads, potential customers, and, as a result, customers. Therefore, more and more business owners are redesigning their old sites or creating brand new fully responsive web pages. To say more, every niche needs to be highlighted on the web, whether it is house services or furniture companies. Well, today, we are going to take a closer look at the most popular way on how to represent your business with all its pros. First of all, most of the business owners are looking for the budget solution that will help them to showcase their products, services, whatever, in the best possible light. Moreover, most of the clients are looking for this or that products using their mobile phones. Thus, it has to be a mobile-friendly website with a great pages’ loading speed and an advanced functionality. Combining these options, we would like to pay your attention to a rich choice of pre-made solutions that are on the market these days. Moreover, it is better to take a closer look at WordPress themes that will meet all your expectations. 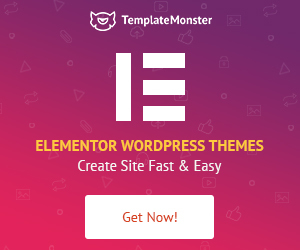 These themes have a user-friendly admin panel, and installation and customization services, which allows you to create a professional site with no coding skills. Moreover, these themes have eye-catchy price tags that will help you to upgrade the biz without huge investments. 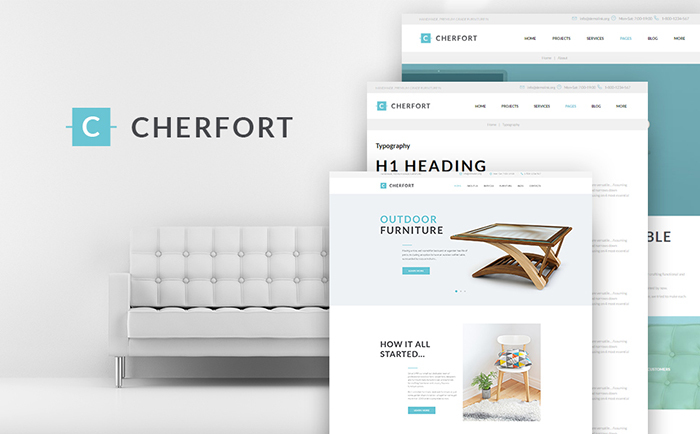 We have prepared for you a list of top 10 WordPress furniture themes that will help you to breathe a new life into your furniture-related business. Let’s take a closer look at each of these themes! Business websites require a lot of efforts to ensure that they reach a large amount of audience. One very specific and effective way of doing it by creating a website. The furniture business owners have reached selling limits where they can deliver to a large area if they are able to get the right customers. 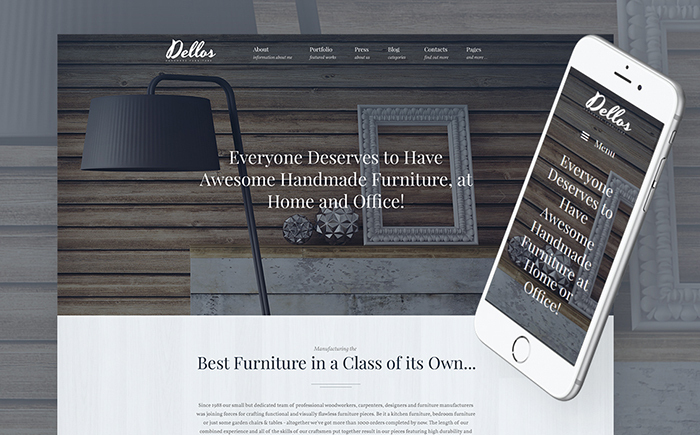 The furniture store WordPress theme is designed in a way that it creates a suitable website which can hold furniture in different categories and ensure an easy purchase of items. If you have a business of related good then this is your opportunity to create something which will reach out to the larger audience. 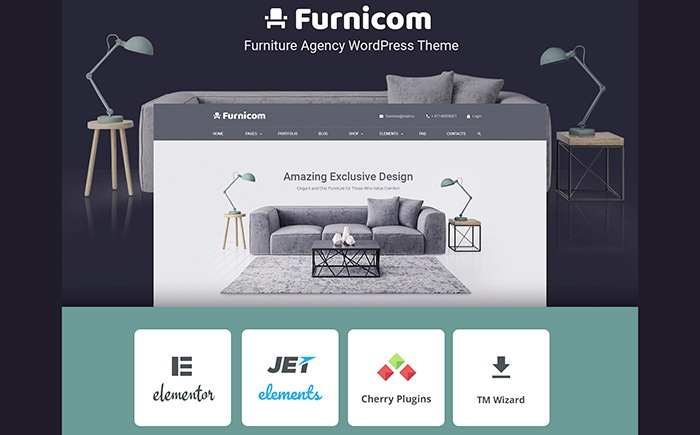 Furnicom is a WordPress theme that comes with an elegant design that allows you to emphasize the furniture store at a glance. Here you can find lots of features that will help you to build a high-functional website with no effort. Moreover, working with this theme is just a pleasure because it doesn’t require any coding or programming skills. Take a closer look at the theme in the demo mode. Whether it is a handmade furniture or any other interior-related items, this theme is your cup of tea to spice up this biz. There is a drag & drop power page builder that allows you to manage the theme easy and fast. Also, feel free to showcase your items in the stylish gallery to perform as a real pro. Looking for a professional solution that will help you to stand out with an interior design company? 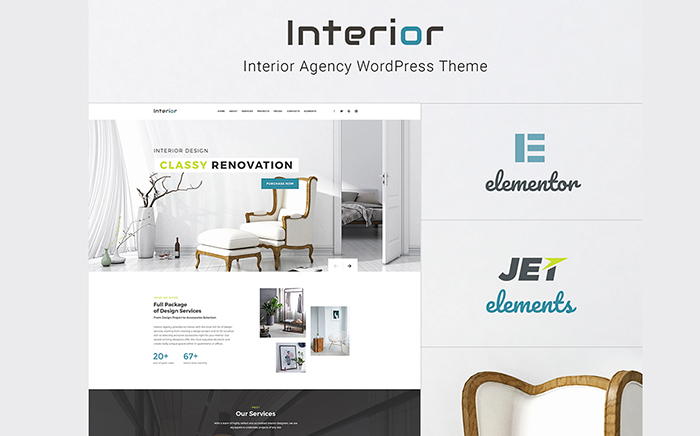 Take a look at this WordPress theme that comes with a wide range of pre-made pages to help you to launch a website in the matter of a few clicks. Moreover, there is a great documentation that is pre-loaded with the theme. It will help you to get to know the theme and all its functionality. A modern theme with an elegant design was crafted with care to meet your expectations. 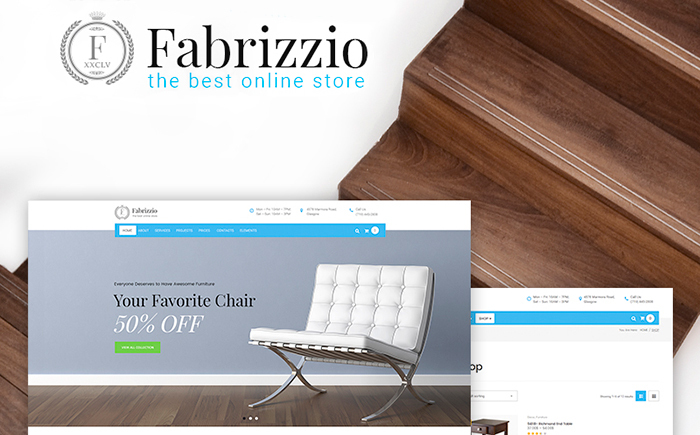 It is one of the best WooCommerce themes to represent your furniture store from the best possible side. To say more, the theme comes with a fully responsive design, thus, it fits any screen size. Need a professional solution that doesn’t require any programming skills? 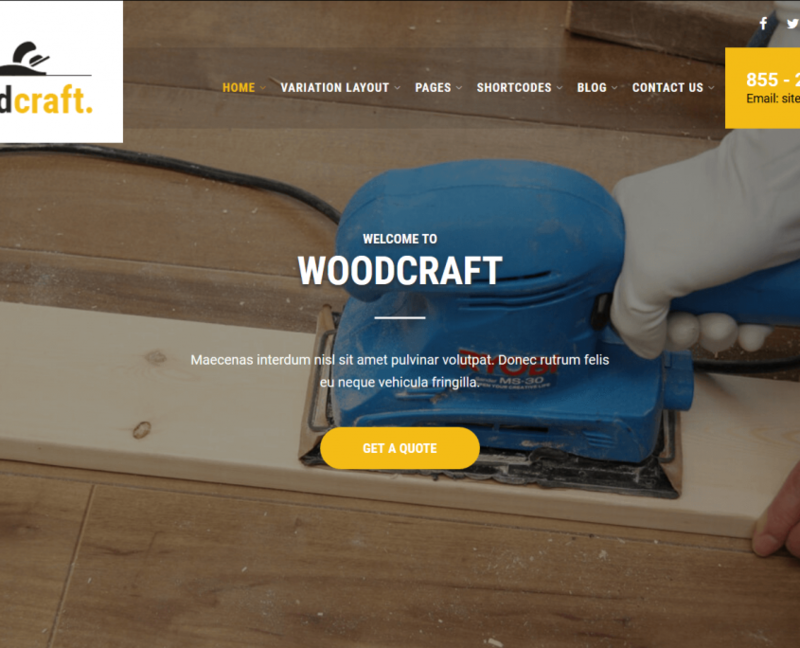 Well, let me represent you this powerful WordPress theme that will help you to build the desired website with no need to touch a line of a code. 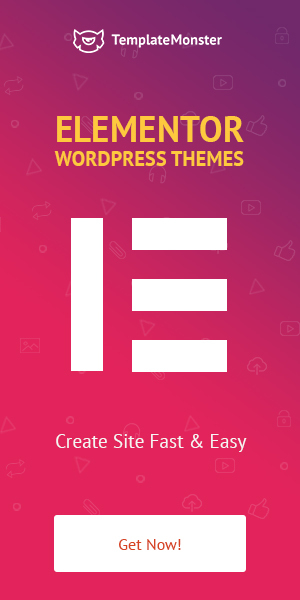 By the way, the theme is also pre-loaded with a wide range of Cherry plugins that will help you to increase an overall functionality of your future site. The theme was developed just for your purposes to help you to stand out with a marvelous site within a couple of days. It comes with an advanced page builder in the core, so, you can easily customize and manage the theme by yourself. 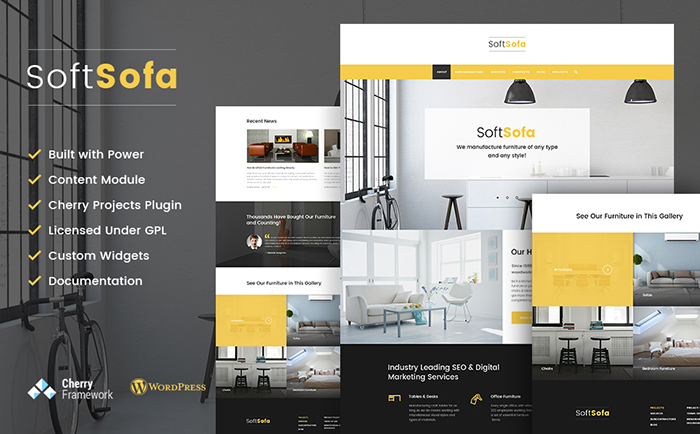 In fact, this WordPress theme comes as a professional solution for your biz, thus, take advantage of it to take your business to the whole another level. Would you like to spice up your interior design company? If so, then check this WordPress theme that comes with a unique design and an advanced functionality to represent your biz in a professional manner. There are lots of modules that allow you to improve the website’s functionality and, thus, make your clients fall in love with your site. 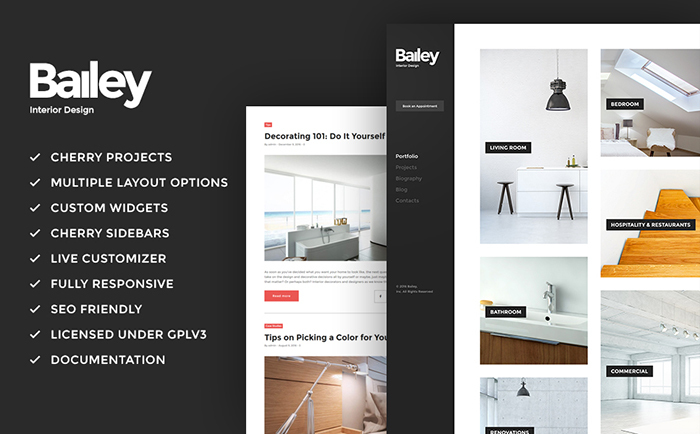 If you prefer a minimalistic design to represent your skills, services, and products, then this theme is just what you need. 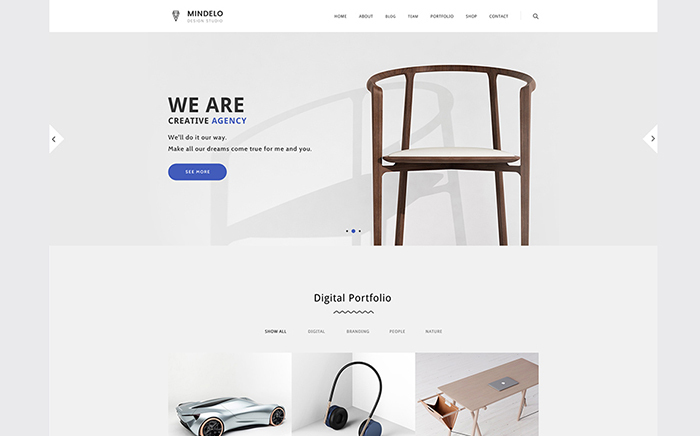 Mindelo is a modern WordPress theme that comes with a sleek design, which allows you to emphasize the content and, thus, capture the target audience. Moreover, the theme is also WooCommerce ready, so, feel free to sell your products online to improve your income. 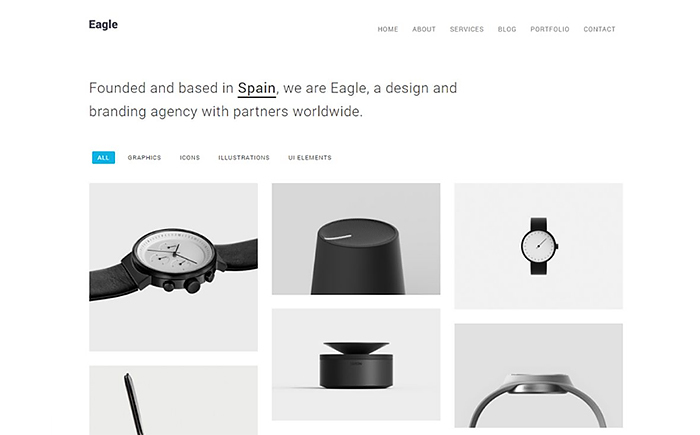 Eagle is mostly black & white WordPress theme that was crafted with care to help you to showcase your products. It comes with pre-made pages to help you to represent your business to the fullest extent. Moreover, it has a flexible inside, so, you are very welcome to customize and design the theme up to your needs. The theme comes with a clean design and a wide range of advanced functionality, which allows you to stand out with a modern and stylish website. The theme has an SEO-friendly nature that will help you to succeed in marketing. Moreover, in case of any additional questions, you have a 24/7 customer support that will help you to solve any kind of issue. 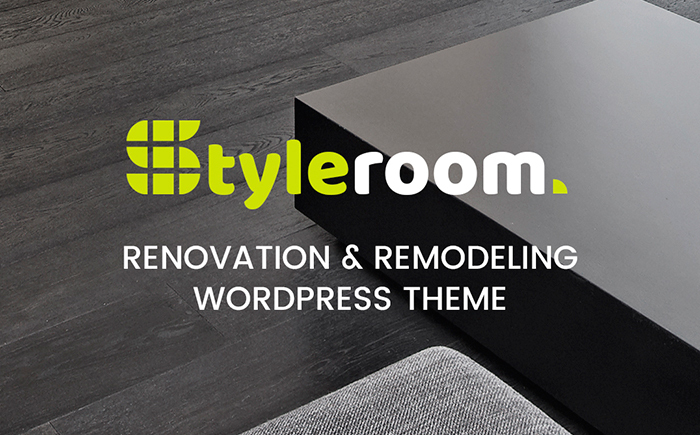 What do you think about these WordPress furniture themes? What theme would you choose to spice up your own business? Let us know your thoughts in the comments section below. Moreover, feel free to share this showcase with your nearest and dearest, so, they can take advantage of these themes and upgrade their entrepreneurship. Good luck to you and stay tuned for more!